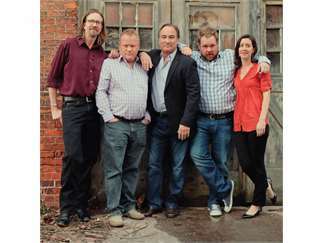 Jim Belushi and the Board of Comedy bring an uproarious night of improvised humor to the stage. A true improv favorite, Jim Belushi combines more than thirty years of comedic experience with “Saturday Night Live” and Chicago’s famed Second City. Members of the Board of Comedy like Megan Grano, Larry Joe Campbell, Brad Morris, and Joshua Funk* join Belushi for this hilarious performance. *Supporting cast subject to availability.